Hi! 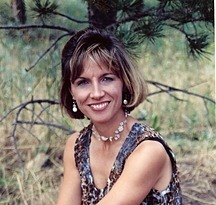 I am Kelly Conner Young a real estate broker in Colorado Springs who specializes in residential & mountain properties. I love Colorado and love to share the lifestyle we have and enjoy. My name is Kelly Conner Young. My passion is the puzzle of real estate whether buying or selling. I like to learn about you! Sitting down, in person, on the phone or via email and actively listening to what you want and are looking for is important to me. I am passionate, genuine and a strong negotiator. After that, I love to have fun and believe it is equally important to help you live the Colorado Lifestyle whether it be for an hour, a day or a weekend trip to look at property. I have been a Realtor for 14 years and started specializing in mountain land and ranches in Colorado. I truly love my job! I am unusual in the respect that I want to earn the right to be your Realtor! I encourage you to ask for references in working with me and would like for you to feel comfortable in every way. Please let me know how I can help you with this. Colorado Real Estate Company specializing in mountain property and ranches. Red Rocks Realty is a boutique company unique in many ways. If you are looking for a traditional real estate firm we are not the company for you. Instead we choose to put quality ahead of quantity, relationships ahead of numbers. Service is a practice in our every day business activities instead of just a word. You will notice that we are particular about the properties we choose to represent and our intention is to share with you how we do business so that you can experience for yourself why it is so important to us to not be "a real estate company". Instead perhaps, we will be the example of what real estate can be -- both as a company and as agents. The nature of our business at Red Rock Realty is art - the Art of Real Estate. Together with you, our client, we partner to clarify and understand your goals and to design strategies for facilitating success. Running, yoga, reading, cooking, music and having fun with friends.